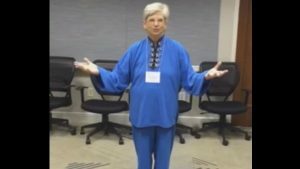 Enter theqigongnetwork.com into the “What’s on your mind?” share box at the top of your Timeline or homepage and click post. You can include a message next to the link if you like. Click on “Share an update”, enter theqigongnetwork.com into the box that appears and click share. You can include a message next to the link if you like. Mention us in your Blog and include our URL theqigongnetwork.com. A special thank you goes out to these websites that have posted the link. 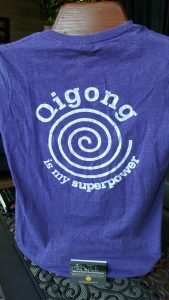 Buy a “Qigong is my Superpower” Tee Shirt (details here). Announce it to your social media friends and others. Write a review in a newsletter, blog, or magazine. 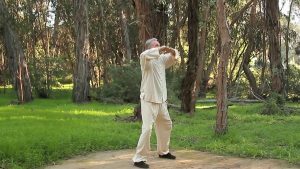 Host a community viewing of the Short Film to promote Qigong in Cancer Care. If you do host an event, let us know about it… when, where, purpose, and send a pic.